Telltale joined IGN to reveal the world's first sneak peek at the next season of 'The Walking Dead' series, set to premiere this fall. So what CAN we say about this upcoming season? For a start, who's that guy with Clementine? His name is Javier. 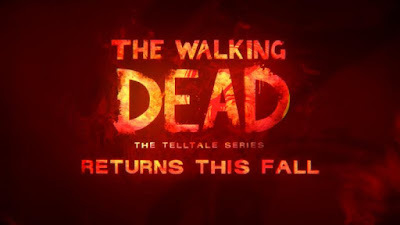 Yes, Clem returns and will play a key role, but this is a new story as much as it is a continuation of Seasons One and Two. Players completely new to the Telltale series will be able to jump right in without feeling lost at all, and those familiar with previous seasons will perhaps find some even deeper meaning, as we'll be working to ensure save file decisions will carry over from the last two games if you've played them in the past. When it comes to Clementine, players' relationships with her have very much evolved over the course of Seasons One and Two. In Season One, it was all about playing a more paternal role and helping a little girl find her feet and the courage to survive in a world gone to hell. Season Two was about Clementine developing her skills and becoming more independent of the people around her. In this next season, she's in her early teens, and has grown to be a person who is clearly capable of handling herself - someone very much on the same level as Javier, a fellow survivor who has been through hell, and has managed to remain alive as long as Clem. Clem has also been through a lot since we left her at the end of Season Two... and depending on the paths players may have taken with her in the past, she may or may not be exactly the same person we knew back then. You'll play as both Javier and Clementine through the course of the season, but exactly how that works is one of the exciting details we're not quite yet ready to reveal. We're thrilled to be able to share this with you. Stay tuned for more info on this new season as we head towards the premiere this fall!